KAWASAKI’S VULCAN® 1600 MEAN STREAK® HAS THE MUSCLES, HANDLING AND IMAGE TO BACK UP ITS STREET CRED Serious performance for serious riders. The Vulcan® 1600 Mean Streak® isn’t your everyday cruiser. Kawasaki designed it with enough attitude not just to survive the mean streets of the city but conquer them with torque, acceleration, and handling. Go ahead and take a closer look. There’s more to the Mean Streak cruiser than just its good looks that garner admiring glances from other riders. 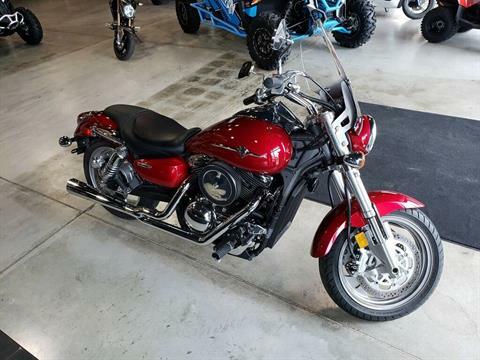 What separates this Kawasaki cruiser from the masses is nimble handling with excellent high-speed stability. 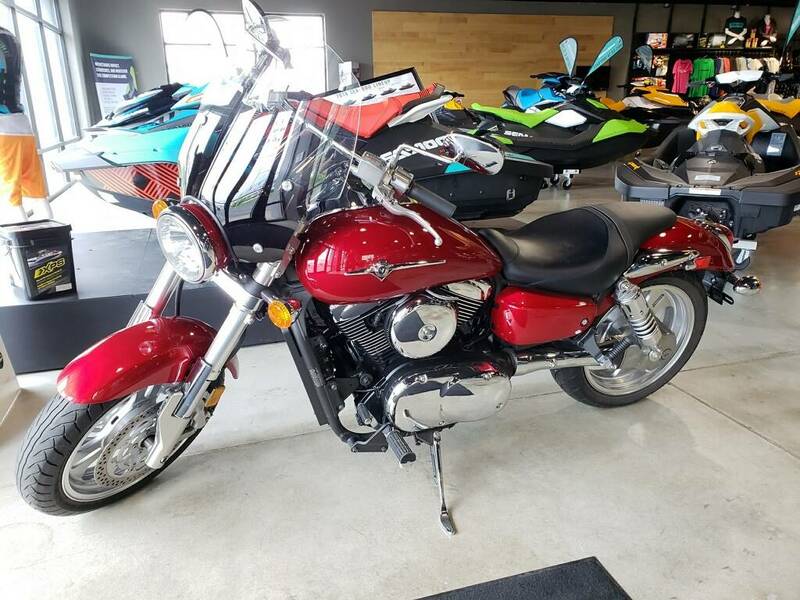 Featuring sportbike-style 43-millimeter inverted forks and a reinforced swingarm with dual air-assisted hydraulic shocks, the Mean Streak suspension components permit spirited maneuvering yet with sufficient plushness to deliver the smooth journey demanded by cruiser riders. The Mean Streak’s bag of tricks also includes excellent stopping power, courtesy of its dual radial-mount front disc brakes and four-piston calipers. 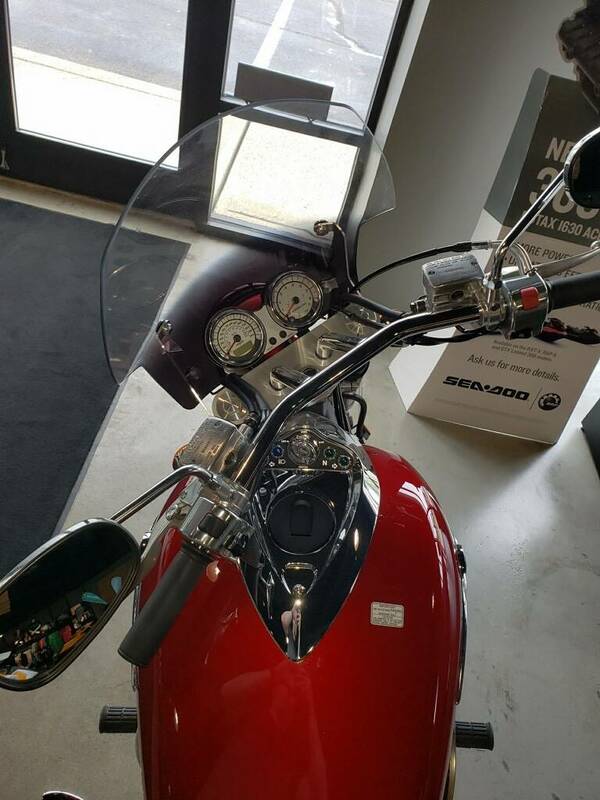 The Vulcan 1600 Mean Streak’s 1,552-cubic-centimeter V-twin engine offers a smooth wave of torque to make your ride more entertaining, thanks to high-tech features like liquid-cooling, electronic fuel injection, dual spark plug digital ignition and four-valves per cylinder. A single-pin crankshaft and a gear-driven counter balancer work together to provide a classic, comforting V-twin rumble without harsh vibrations. Appearance and rider comfort are every bit as important as massive power in the cruiser world. The 1600 Mean Streak offers two distinct styling treatments to satisfy different tastes. Polished valve covers and cooling fins are standard on the Mean Streak, while the Special Edition receives a host of black and red styling touches for a custom hot rod look. Seventeen-inch aluminum wheels further enhance the styling of both versions and are fitted with radial tires that provide exceptional grip and stability.